Not too long ago a trip to Cambodia could begin and end with the Khmer temples of Angkor Wat (pictured above: Ta Prohm Temple, part of the Angkor Wat temple complex in Siem Reap, Cambodia). Interest in the country’s natural treasures now extends to the country’s untouched islands and mountainous rain-forest where the 1st signs of luxury infrastructure will be seen in Y 2018. When it opens this fall, Shinta Mani Wild will have 16 safari-style tents in a previously unprotected wildlife corridor near Southern Cardamom National Park; the local residents include wild elephants, bears, and tigers. Off-the-beaten-path, on Krabey Island, a 15-minute speedboat ride from the country’s southern coast, Six Senses will open in September with 40 pool villas, some complete with private wine cellars and all with outdoor showers. It will quickly gain competition when Alila opens close by, on Koh Russey, laying claim to the longest private beach in the Cambodian islands. A Rosewood is expected in Phnom Penh early this year, at the Top of the soaring, dragon-shaped Vattanac Capital Tower. 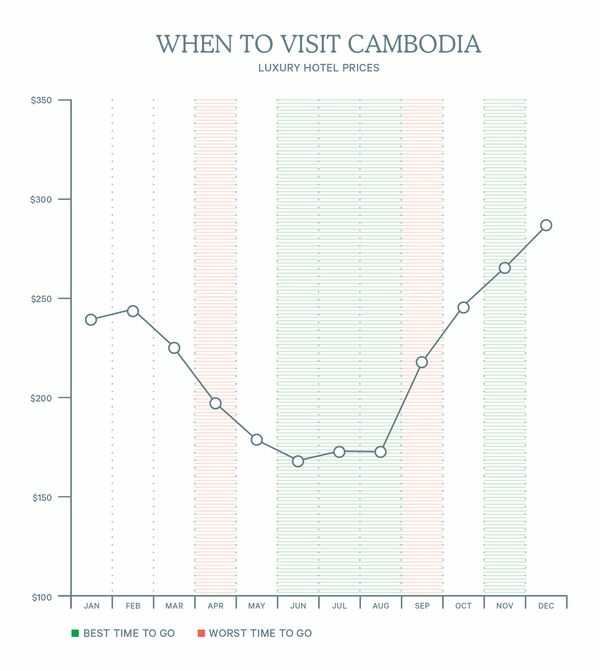 The architectural symbol for modern Cambodia is the perfect home base for exploring a thriving metropolis on the rise. When to go: November, at the start of the dry busy season. Alternately, going from June to August means low room rates, fewer crowds, and a lush, green landscape. When not to go: April it is too hot, in September it is too wet.